Increasing external conflict is an obvious way to build to a climax. 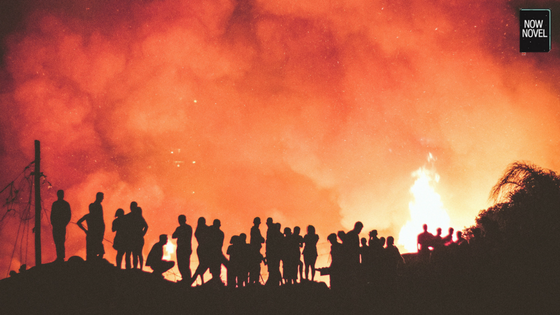 Conflict brings urgency, propelling the story to a necessary resolution or meltdown. List complications that forced a main character to take action in a novel you’ve recently read. This is a useful exercise for focusing on the elements of an effective climax. Internal conflicts – the wars that rage within your characters – are also useful for building to a high point of tension and uncertainty. Think about tormented characters from literature. Shakespeare’s Hamlet is a classic example. After his father’s ghost reveals that he was murdered, we see Hamlet’s mental state deteriorate. He becomes increasingly mistrustful and prone to emotional outbursts. Dostoevsky’s Crime and Punishment (1866) is another story that expertly builds tension out of a single character’s inner torment. We see the murder committed by the protagonist, Raskolnikov, early in the book. Dostoevsky builds Raskolnikov’s guilt and horror. The novel moves at a slow burn to a climax as the killer teeters ever close to revealing his crime and being caught. Conflict between characters is one of the most obvious ways to build a sense of urgency. The greater the tension and conflict, the greater your reader’s desire for certainty; resolution. Setting itself, however, is a useful tool for writing a gripping finale. The hobbits’ passage towards Mordor, in Tolkien’s Lord of the Rings fantasy cycle, is a classic example. As they get closer to the villain’s heartland, the setting becomes darker and more ominous. We have the increasing sense anything could happen (and none of it good). Tolkien makes Mordor an unsettling, creepy place, full of bad odors and imminent danger. Intensifying setting heightens the climactic elements. We experience the tension multiply. From a character perspective, as the characters near their greatest source of danger, and through the landscape itself. You can use setting this way in any genre, not only fantasy. In Damon Galgut’s book In a Strange Room (2010), the author/main character travels with a friend in India. The friend’s mental health deteriorates, and Galgut shows the difficulty of having this experience in an unfamiliar setting. The difficult environment (in a similar way to Tolkien’s Mordor) adds an additional layer of tension and the unknown. There is a sense anything could happen, as the traveler faces unfamiliar, chronically under-equipped hospitals and other unknowns. 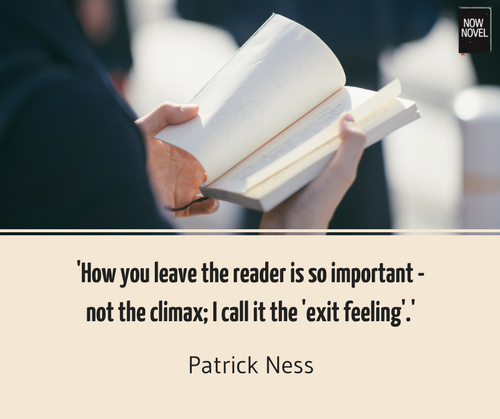 Another effective way to build your novel’s climax is to structure scene and chapter breaks for effect. For example, if you have multiple character arcs, try alternating between shorter scenes. Short scenes alternating between characters travelling to the same place (or seeking the same or opposite goals) add tension. Think of this like effective video editing on a reality TV racing show. The Amazing Race will use editing to show rival teams covering the same ground – some stumbling, some not – in a short space of time. Create a similar ‘down to the wire’ feeling. From shorter scenes to shorter sentences, use smaller units to ramp up pace. This adds momentum, to create a climax. Not all story climax examples feature showstopping gun fights or chases, because conflict isn’t the only source of momentum. 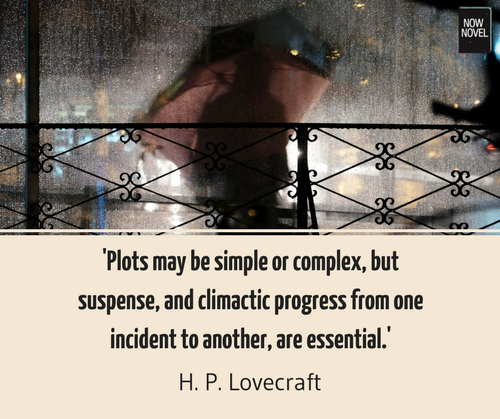 Increase your reader’s suspense by adding mystery to your story arc. This doesn’t necessarily require explicit conflict. Take William Faulkner’s classic short story ‘A Rose for Emily’, for example. Although it’s shorter than a novel, the principal of building to a climax remains the same. The story builds a climax but mostly implies, rather than explicitly shows, conflict. At the story’s start, the narrator tells us that a woman, Emily Grierson, has died. Faulkner adds suspense by describing her as a ‘fallen monument’ and the curiosity the town feels upon her death. We gradually learn that Emily was a notorious recluse. In the second section, Faulkner introduces turning points in the past: Emily’s father’s death and her lover leaving her. The townsfolk start complaining about a terrible smell coming from her home. The story builds more suspense with this plot point. In the third section of the story, Emily mysteriously buys poison (arsenic). It’s only in the fourth and fifth sections of the story that we learn that Emily used it to poison the ‘sweetheart’ everyone thought had abandoned her, Homer Barron. The climax itself in Faulkner’s story consists of mounting suspense, as mysterious actions (the smell, the reclusive behaviour, the disappearance of the lover) begin to come together. The actual conflict (the poisoning of Homer) remains subtly implied. Thus you can achieve a buildup without a dramatic showdown. Having read the story conflict examples and tips above, brainstorm plot points for your story. Or take a short course now and get help writing a gripping climax.